Let’s say its a gorgeous Saturday morning and you are at your local farmer’s market. You are looking for the freshest fruits and veggies you can find. You might even find some delicious eggs, freshly laid by some very happy, free range, organic hens. Pair those with tomatoes from one stand, cucumbers from another and the juiciest peaches you’ve ever seen from still another stand. How are you paying for those items? In days gone past, you’d better hope you had enough cash to pay everyone their fair share. But today, with technology, you can probably pay with a debit or credit card. How? Even small family farms and organic farmers know that they have to adapt to the changing face of business. Cash isn’t going to be used in very many sales for long. In fact, by 2017, only twenty-three percent of all sales are expected to be made with cash. That means more than three-fourths of all business transactions will be made with credit or debit cards. In order to stay in business, merchants will have to accept cards. Not taking credit or debit cards will mean certain death for a business. At your local farmer’s market, each vendor is most likely responsible for his or her own payments. It would be awkward and cost-prohibitive for each little family farm to get a traditional, large point-of-sale machine. Not only that, but where would the big machine sit? After all, space is at a premium, especially at farmer’s markets, flea markets and street vending situations. 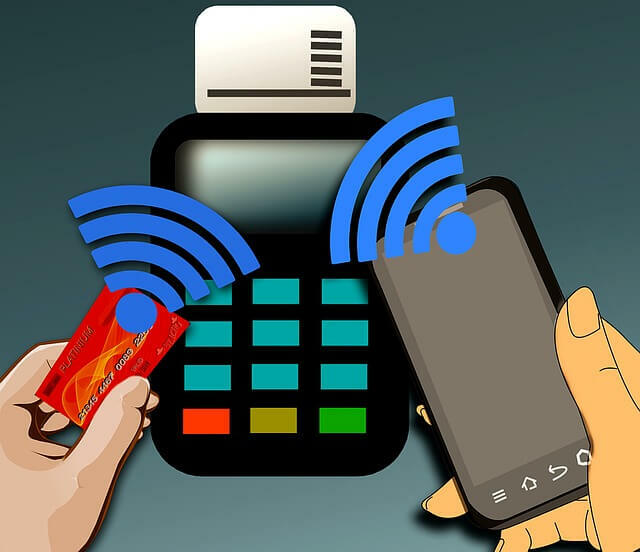 Good thing both both consumers and merchants, businesses can now accept payment anywhere, as long as they have wireless service. As long as the merchant has a smartphone, iPhone, tablet or iPad, and can connect to wireless service, they are in business. They can accept payment with credit or debit cards. Mobile credit processing lets those everyday devices be adapted into card processors. This amazing technology lets any merchant accept payment almost anywhere. Can you imagine being anywhere in a given store and being able to pay for your items? You don’t have to find a register and the store doesn’t need to make a ton of room for the old point-of-sale hardware. Mobile devices are giving traditional retailers the freedom from POS devices and all of their complications. The old devices were large and clunky; they took up valuable retail space. Even retailers who aren’t on the go are choosing to use mobile devices to accept card payments. Old point-of-sale hardware was large and clunky and took up valuable retail space. The old machines required training for all employees and a vast support network. Today’s mobile devices don’t take up much room at all, they are inexpensive and easy to install and use. Should There be an App for eMediation?